Amazing video of Victor the Budgie communicating with hidden messages from the spiritual world. The video described herein is a revised version of "Victor's Seventy Lessons". (rev) with the videos you will see. (for) Like a jury would think I'm supposed to be bosh like their budgie. (for) to enlist their doctors. You see they tend to call me fake here. (rev) Every emotion Ryan has sure has reason. (for) That's really tough here. How's your beer? having.) We are with him. (for) Again Ryan shall be complete when they will come with some belief. But first, you're going to believe the truth. 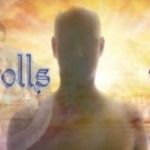 (rev) Soon you will know for sure how to find angels and begin talking with heaven. (rev) stamping out evil. We know as you console these souls. (for) Don't believe all the concepts that puts us at a big war. (for) we're given much to save us from suffering by God. (rev) you're shown the way to heaven. We shall need (in heaven) your love. (rev) another love you'll find will be waiting for you. (for) Oh, oh, be different right now! You cannot miss it! (for) We're right to unite the world if they dock here. (rev) Tread slowly in this world and you'll hear it. (for) Your future's happy you connect with life's symphony. (for) Words free me. As things come out you shall be free. That's enough for sure. Turn it off. This is the short version of presentation 3 with Victor talking only.